Seville is without a doubt the heart and soul of the Andalusian region of Spain. No visit to the south of Spain would be complete without spending some quality time exploring Seville and experiencing some of its cultural and culinary delights. From Flamenco dancing and tapas tasting to a host of UNESCO World Heritage sites, Seville certainly has a lot going for it. Seville is also a great hub from which to explore some of the stunning countryside of southern Spain including Cordoba and the fascinating White Villages. And with Spain’s very efficient hi-speed train system serving Seville, it’s extremely easy to get to. One of the things I really liked about Seville is that it is very walkable, with most of its major sites within close proximity. 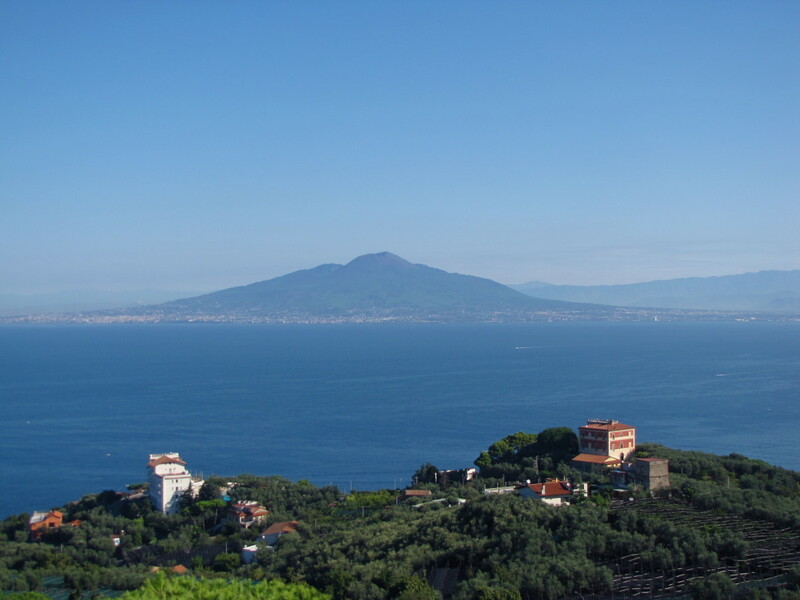 The other thing I really liked was the very friendly and honest taxi drivers that can whisk you to your next destination in a matter of minutes for just a few euro, should you decide to give your legs a break. Seville really has it all, which is why it is now ranked as one of the top destinations in the world. 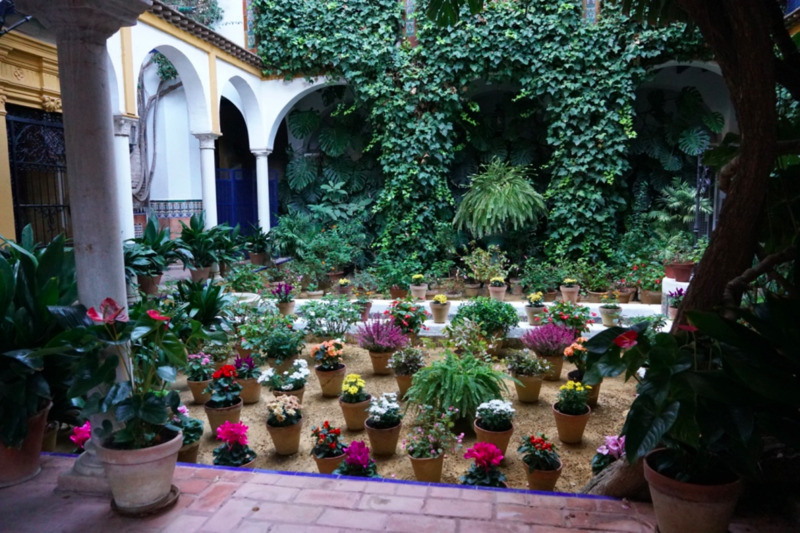 So what exactly is there to see in Seville? A whole lot of everything would be my answer. 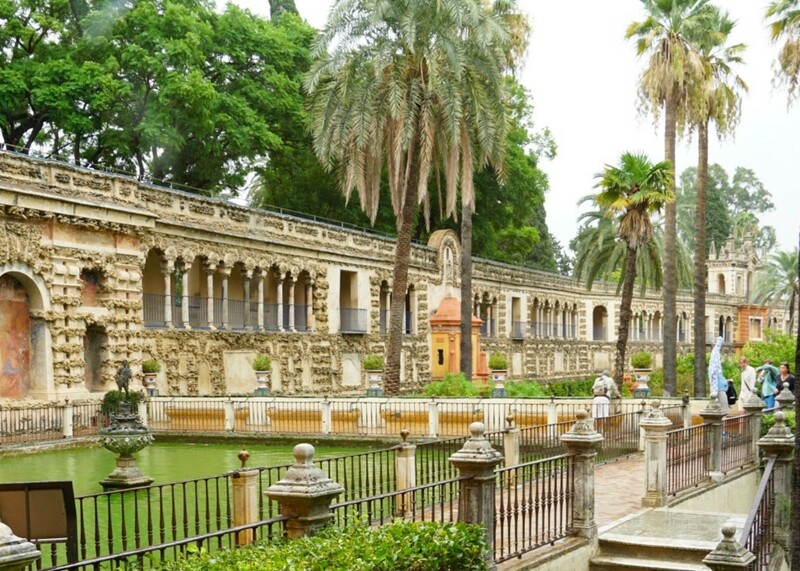 Let’s take a look at 13 of the top sites that Seville has to offer. There aren’t many grander cathedrals in the world than the Cathedral of Seville. It is the third largest church in the world as well as the largest Gothic church in the world. It’s so big that it was hard to get a photo of the entire thing in one shot. But, as big as it is, its grandeur really reveals itself once you step inside its mammoth interior. Built with the intent to flaunt Seville’s wealth, the stunning Gothic architecture is definitely something to behold. Constructed on the site of a former mosque, the cathedral retains some of the mosque elements including the courtyard containing orange trees, and the minaret, which was converted into the bell tower. Consecrated in 1507 after over 100 years of construction, the cathedral is the final resting place of Christopher Columbus and his tomb is prominently displayed atop four knights representing the four regions of Spain during Columbus’ life. 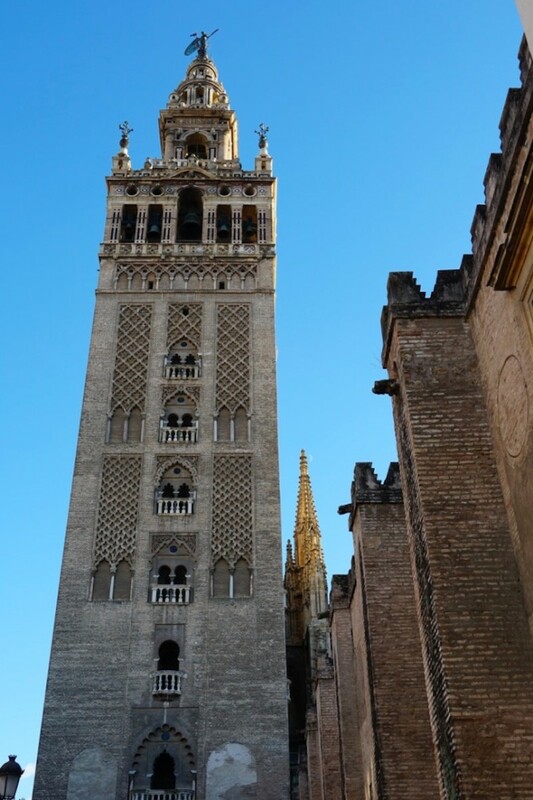 Before leaving be sure to check out the courtyard and climb the adjacent Giralda Tower for the best views of Seville. Free for those under age 15, the unemployed, and people with disabilities over age 65. To avoid the long lines purchase your ticket at the Church of El Salvador, which is beautiful in its own right. Your 9 euro ticket gets you into both churches, but most importantly it allows you to skip the sometimes considerable line at the Cathedral of Seville. The Alcazar is the royal palace of Seville that was built for King Peter of Castile. 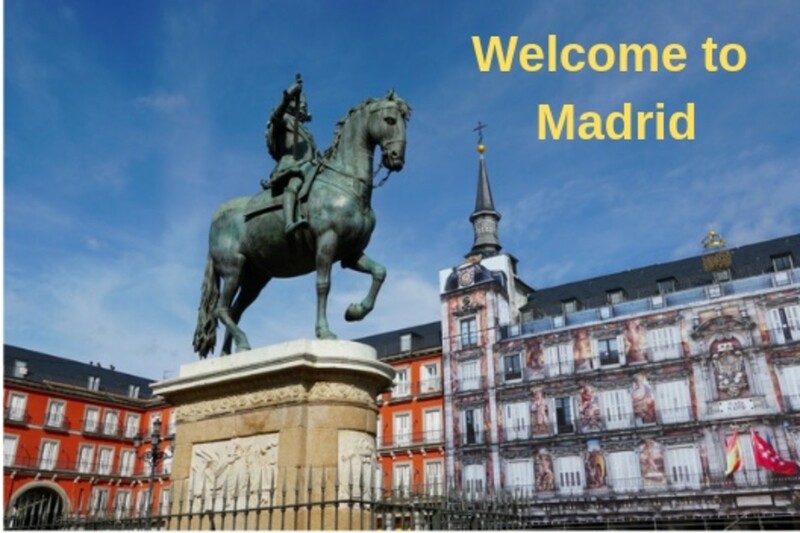 It is still used today as an official residence of the Spanish royal family. Constructed as a Moorish fort in 913 and modified over the centuries, it presents a wonderful blend of Mudejar and Christian architecture. The Alcazar was designated a UNESCO World Heritage Site in 1987. 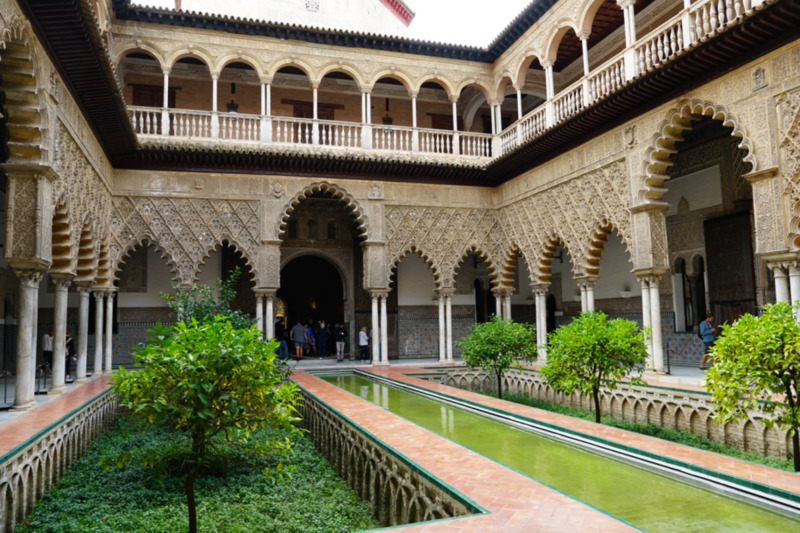 Located adjacent to the massive cathedral, the Alcazar might look familiar to fans of the Game of Thrones TV series, which filmed here during season five. After touring the palace be sure to stroll through the beautiful gardens. Seville’s Plaza de España was built in 1929 for the Expo 29 and is a stunning example of Spanish architecture. The huge semi-circular building has a tower at each end with a 500-meter long canal that follows the curve of the plaza. Four beautiful bridges cross the canal and allow access to the building. You can take the stairs to the second-floor balcony that runs the full length of the building and it offers beautiful views of the plaza, canal, and fountain that centers the plaza. Today the building is used for various government offices, but it’s a wonderful place to relax, rent a rowboat, or simply stroll the plaza taking photos. 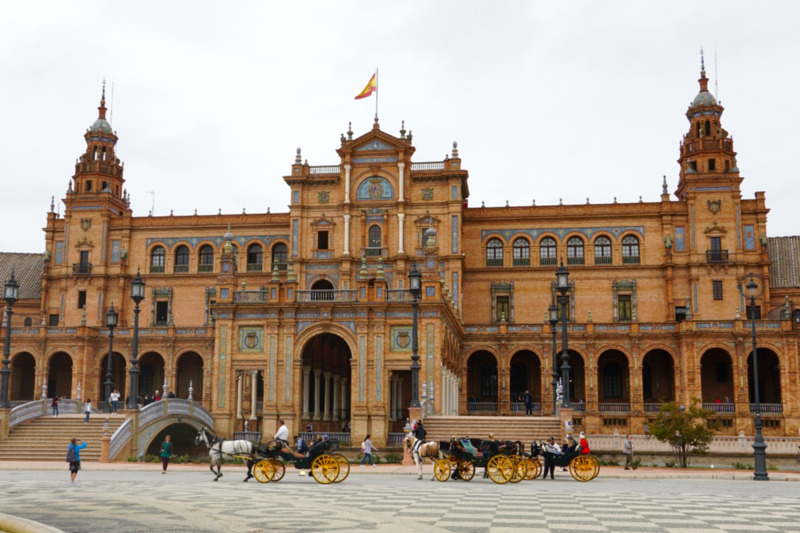 The plaza is actually located inside Maria Luisa Park and is a great place to take one of those horse-drawn carriage rides. 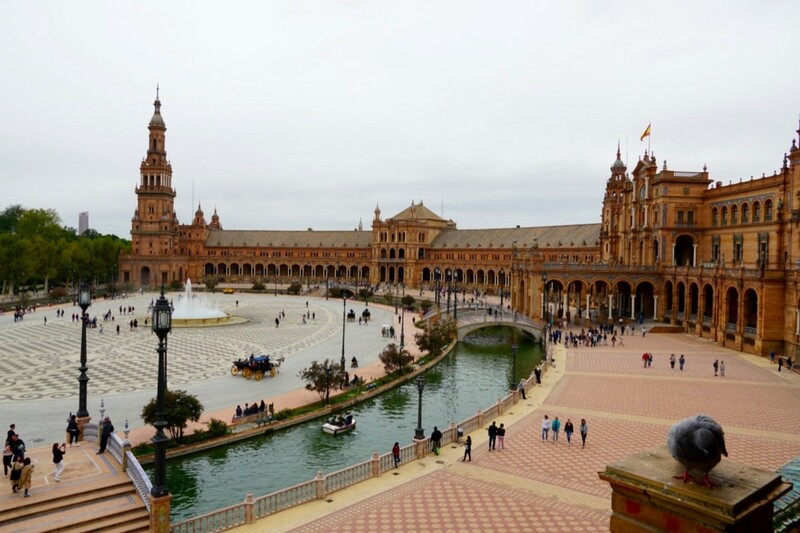 For you Star Wars fans you might be interested to know that the Plaza de España was used as a location for the filming of Episode II – Attack of the Clones. It was also used in the 1962 film Lawrence of Arabia. Row Boats: 6 euro for 35 minutes. 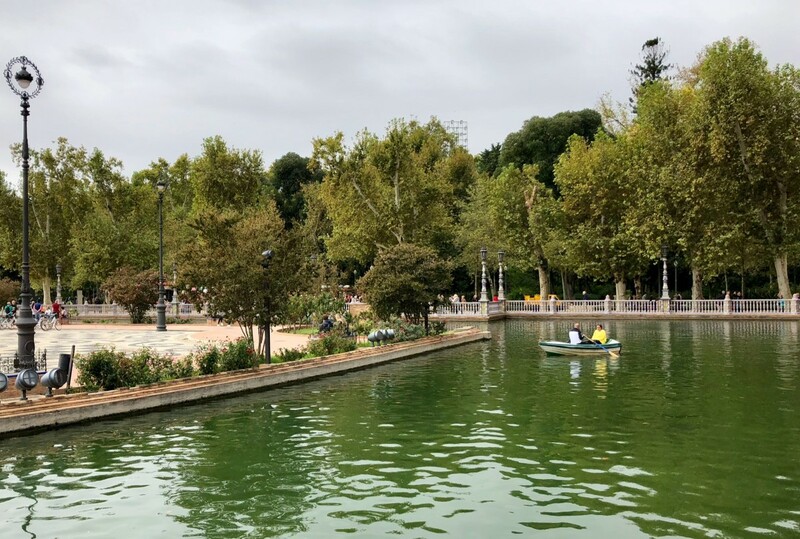 As the largest green space in Seville, Maria Luisa Park is a great place to unwind while taking in the beauty of the park. 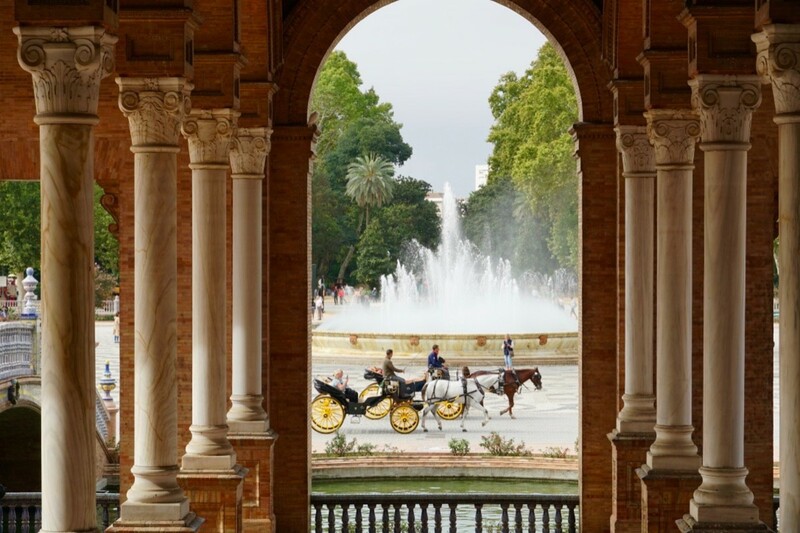 Known for its Moorish fountains, beautiful pavilions, ornamental ponds, and exquisite botanical gardens, the park is a welcome relief from the hustle and bustle of Seville. Originally the gardens of the Palace of San Telmo, they were donated to the city for use as a park in 1893. 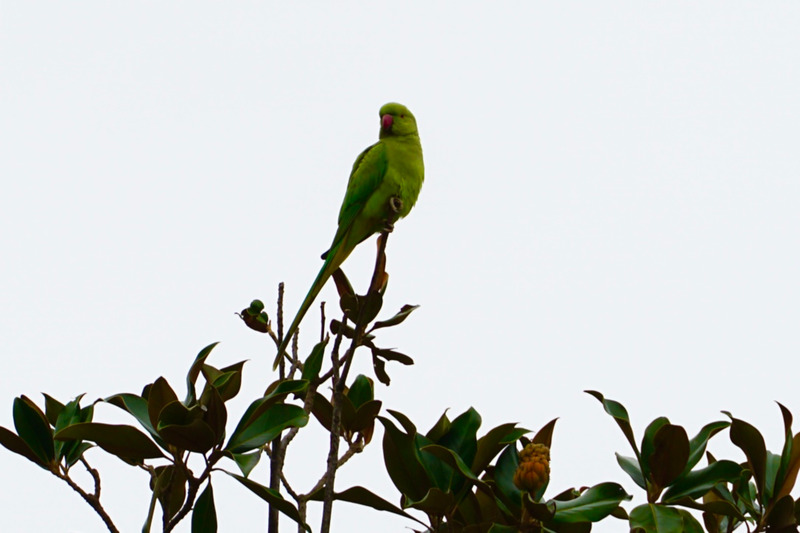 Be sure to listen for the unique call of the colorful green parrots that make their home in the park. The Plaza de España is located within Maria Luisa Park, so plan on at least a couple of hours to visit both sites. 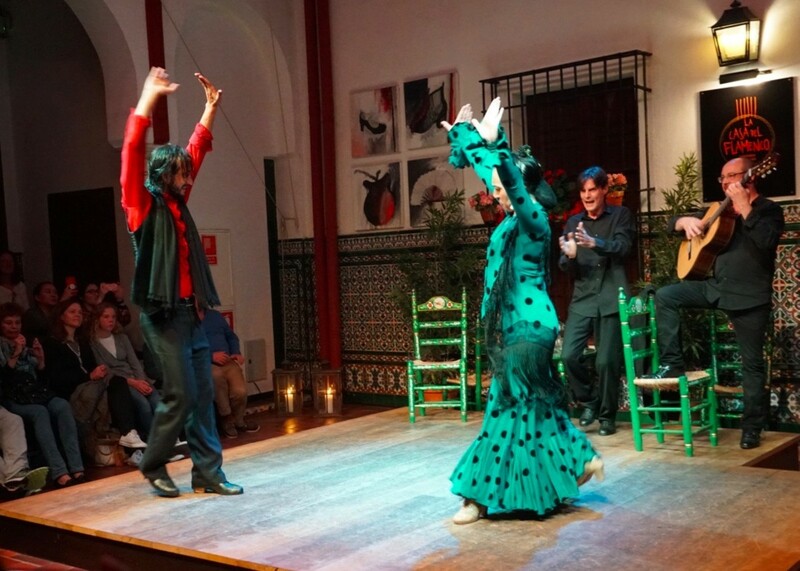 You can’t visit Seville and not experience the art of Flamenco dancing. While there are numerous options available we opted for a 1-hour authentic Flamenco show at Casa del Flamenco. The show features two dancers, a guitar player, and a vocalist, and the venue is limited to about 60 spectators who sit in three rows forming a semi-circle around the stage. There is not a bad seat in the house and the experience is very up-close and personal. They serve no food or drinks to distract spectators, it’s really all about the art of Flamenco. 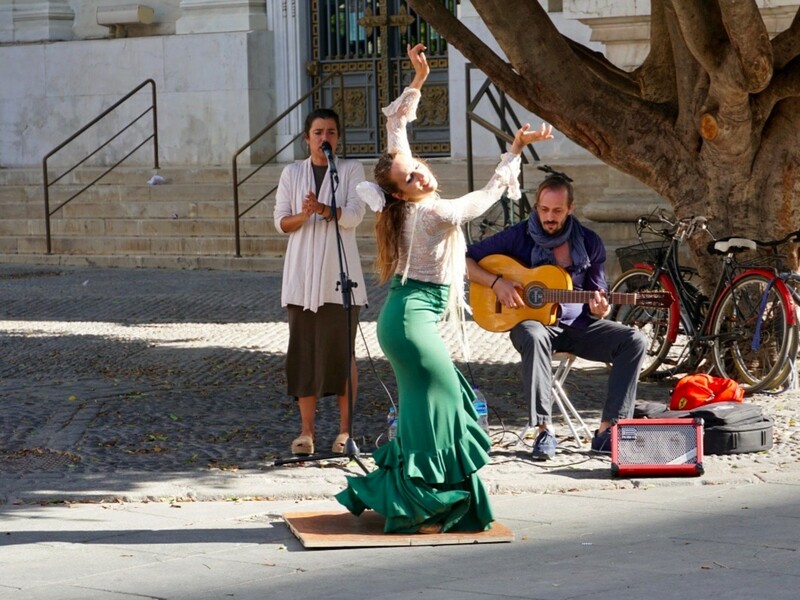 As you wander the streets of Seville you may also come across a Flamenco street performer, which we did see. This is, of course, a great opportunity to see a performance and by all means, watch, enjoy, and don’t forget to drop a euro or two into the collection basket. The advantage of the show was that they explain to you the various dances and a little of the history of the art. For the price we felt it was well worth the money. Tickets can be purchased ahead of time online. Casa del Flamenco has 2 to 3 shows nightly, each lasting 1 hour. 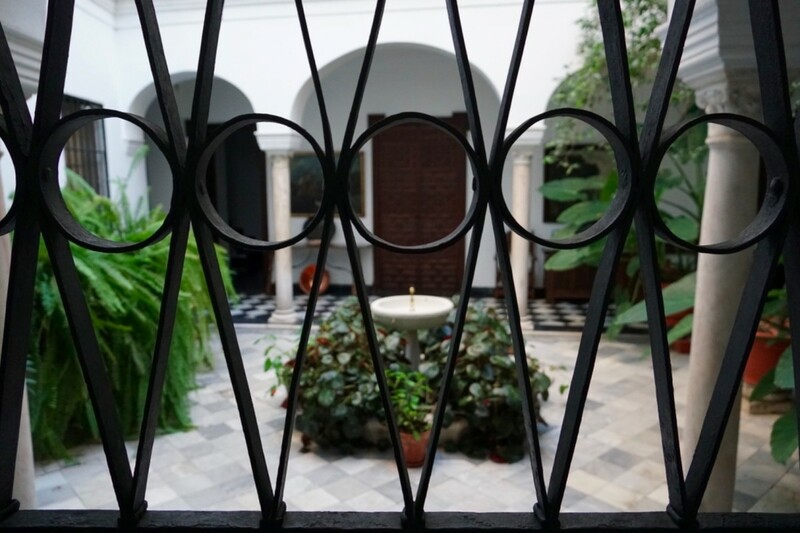 Seville’s Jewish Quarter, known as the Santa Cruz neighborhood is a wonderful place to get lost while taking in the distinctive architecture and history of this historical area of Seville. Bordered by the Cathedral and the Alcazar, the Jewish Quarter is easy to find and is loaded with great tapas bars, quaint shops, and colorful courtyards buried within its narrow alleys. Some of the alleys are so narrow that it’s a tight squeeze for even one person. The narrow alleys are referred to as the Kissing Lanes, so named because you and your partner will be getting mighty close as you try to navigate through. It all adds up to a fun and lively area of Seville that is not to be missed. There is no night life in Spain. They stay up late but they get up late. That is not night life. That is delaying the day. 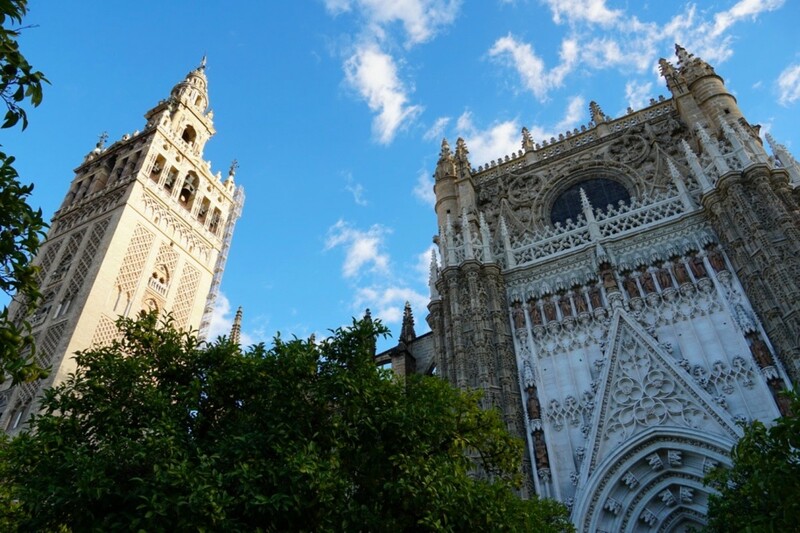 After visiting the cathedral be sure to climb the adjacent Giralda Bell Tower for the best views of Seville. 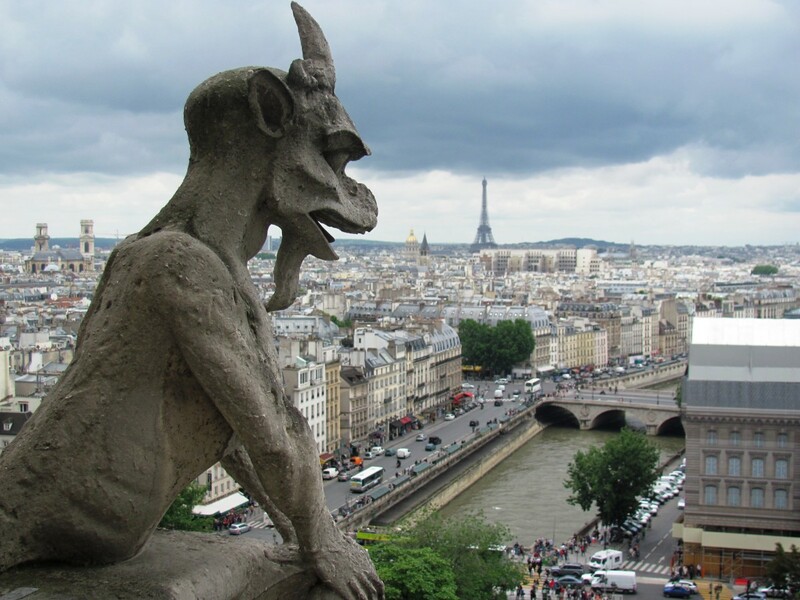 The 343-foot tower was originally a minaret for the mosque that occupied the site and was converted into the bell tower after the Christian conquest in 1248 by Ferdinand III. The tower has 34 ramps instead of steps, which was done to allow horses and mules access to the top of the tower. To break up the climb there are strategically placed exhibits on the way up to stop at, which offer some history on the tower. 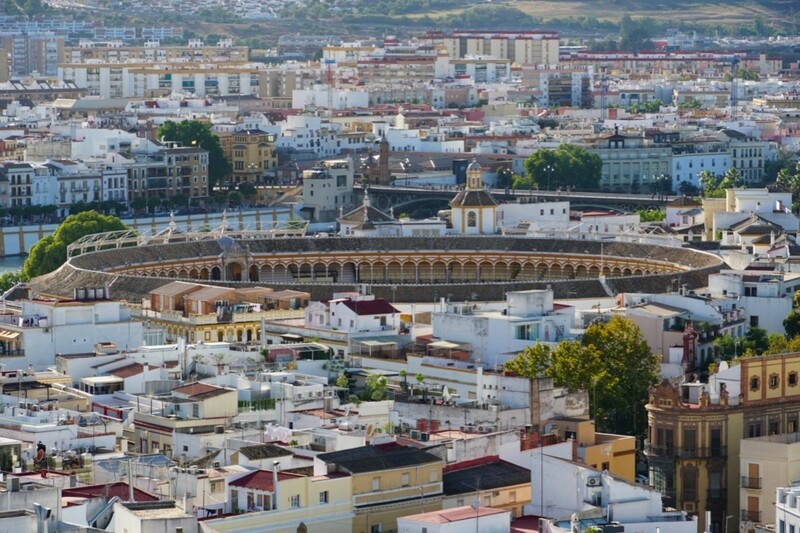 In addition to being a fascinating structure, the views from the top are the best in Seville. Your admission ticket to the cathedral covers admission to the tower. On the left bank of the Guadalquivir River, just over the Isabel Bridge is the Triana neighborhood. In addition to offering great views of historic Seville, it’s a great place to unwind and stroll through its lively markets, ceramic shops, and wonderful tapas bars. This area was known as the gypsy neighborhood and the colorful architecture and vivid flamenco scene make it a must see in Seville. As you cross the Isabel Bridge check out the Mercado de Triana (local market) before heading to the left for great views of the Bullring and the Torre del Oro. To cross back into Seville take the Puenta San Telmo (bridge) and you’ll be right at the Golden Tower, otherwise known as the Torre del Oro. 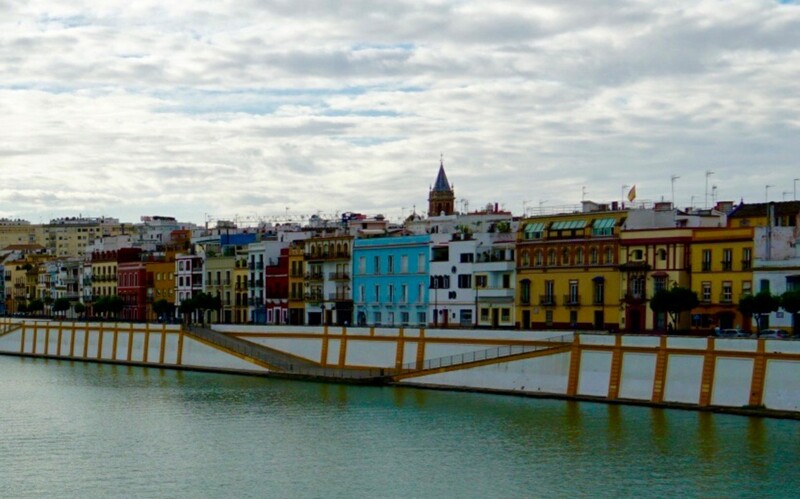 After visiting Triana you can head back into historic Seville to take in the Torre del Oro (Golden Tower) and the Plaza de Toros (Bullring), both located along the right bank of the Guadalquivir River. In use for over 250 years, the bullfighting stadium is one of the oldest and most historic rings in the world. While I personally abhor the sport, we cannot deny that bullfighting is an important aspect of Spanish culture. The stadium holds about 14,000 spectators and can be seen by guided tour only. Tours last 20 minutes and cost just 4 euro. 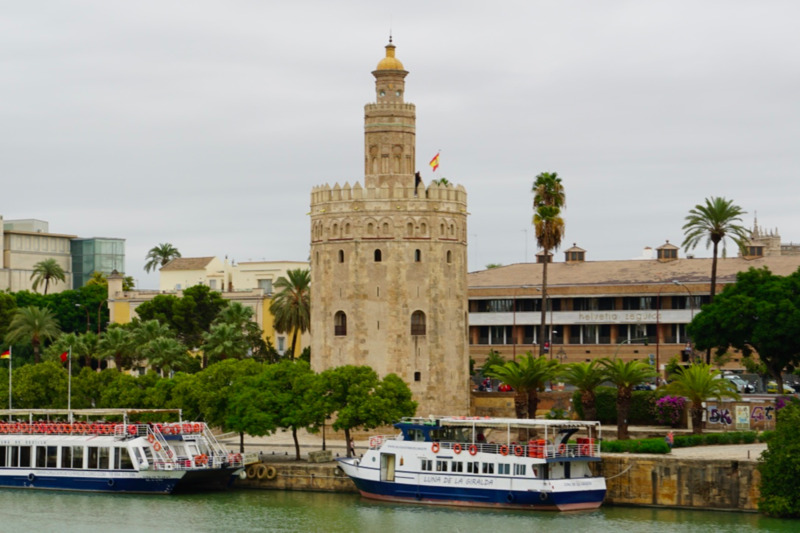 Just up the street from the bullring is the Torre del Oro, which today is the site of the Maritime Museum of Seville. Known as the Gold Tower because of the golden hue it projects on the river, it was used as a prison during the middle ages. Built in the 13th century, the tower helped to defend the port of Seville and to limit access to the river by placing a large chain from the tower across the river to the other side. Visitors can tour the tower and museum for just 3 euro, and it is open daily until 6:45 pm. If you’ve come to Seville you have also come to the land of tapas. You are here, presumably you have to eat, so you might as well jump in and try as many as you can. You can’t walk far in Seville without passing a tapas bar and we discovered a few that quickly became our favorites. La Bodega and Taberna Coloniales were both exceptional, although to be honest, the city is full of great looking tapas places. 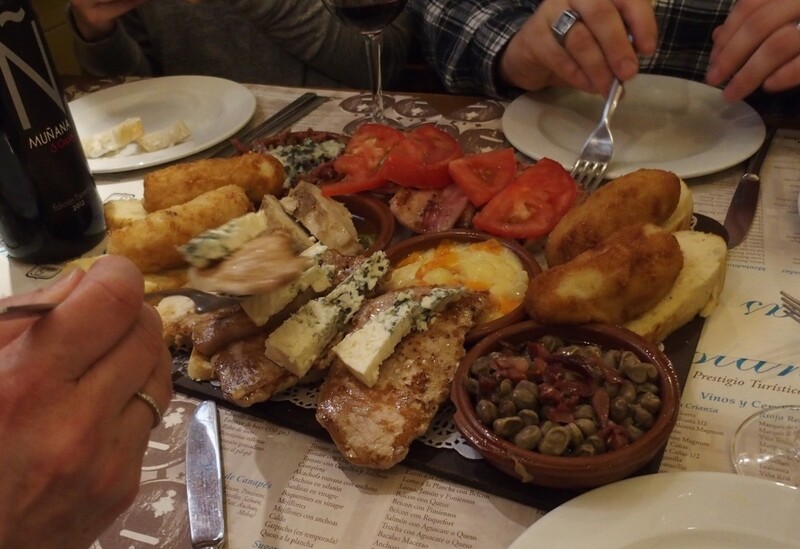 I would also recommend a Tapas Tour, which can make for a lively and entertaining evening out. 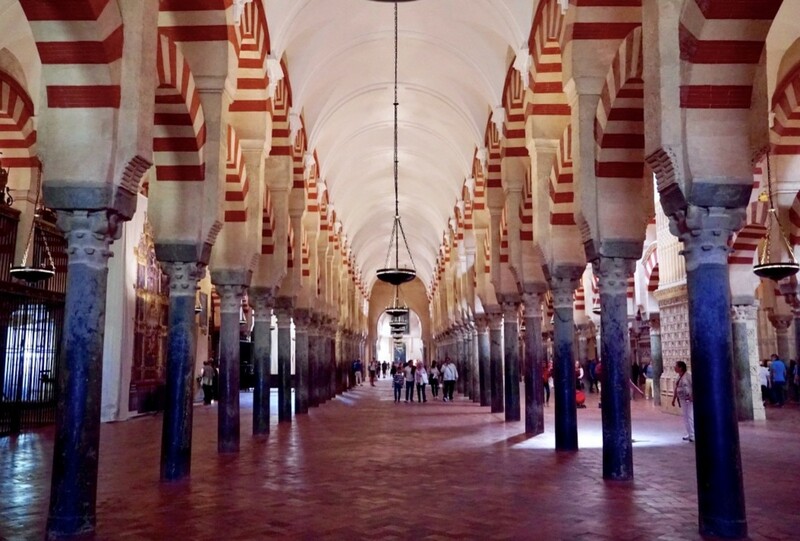 With Cordoba just 45 minutes away via the hi-speed train, you would be remiss if you didn’t make an effort to visit Cordoba to see the incredible Mezquita. 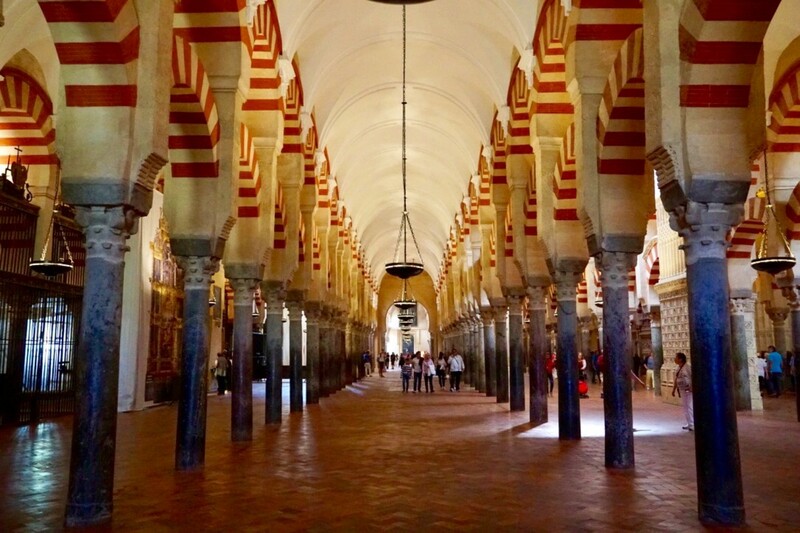 The mosque turned cathedral, with its 856 colorful columns, is reason enough to make the journey. 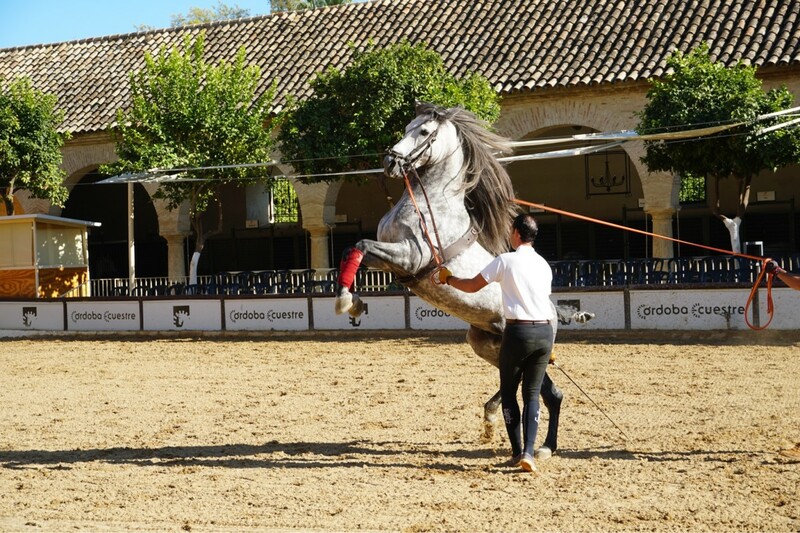 While there, catch a glimpse of the beautiful Andalusian horses during a practice session, roam Cordoba’s famed Jewish Quarter, and stroll the Roman Bridge for great views of the Mezquita. It’s an easy trip from Seville and trains run throughout the day. 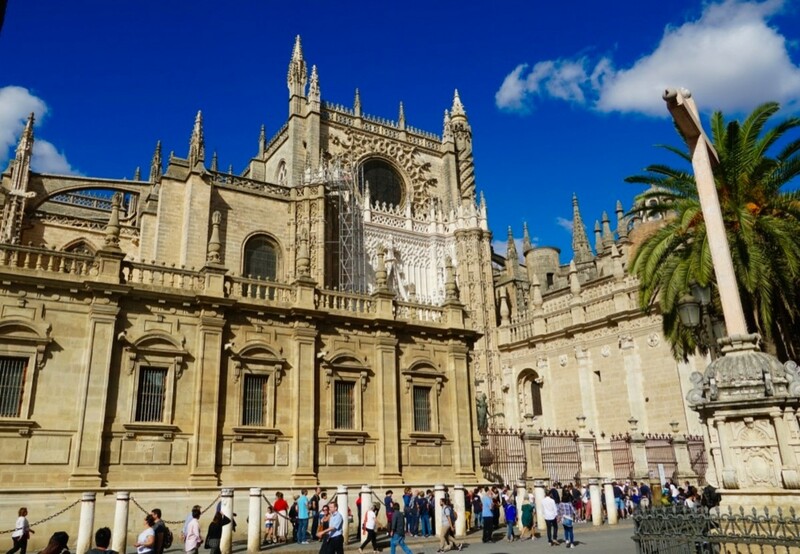 Located in the Plaza del Salvador, the Church of El Salvador is the second largest church in Seville and a great place to visit prior to heading to the massive Cathedral of Seville. The entry fee will allow you to skip the considerable line at the cathedral, and this church is beautiful in its own right. Like many churches in southern Spain, this one was originally built on the remains of a mosque but was torn down due to the ravages of time in 1671, at which time the church you see today was constructed. 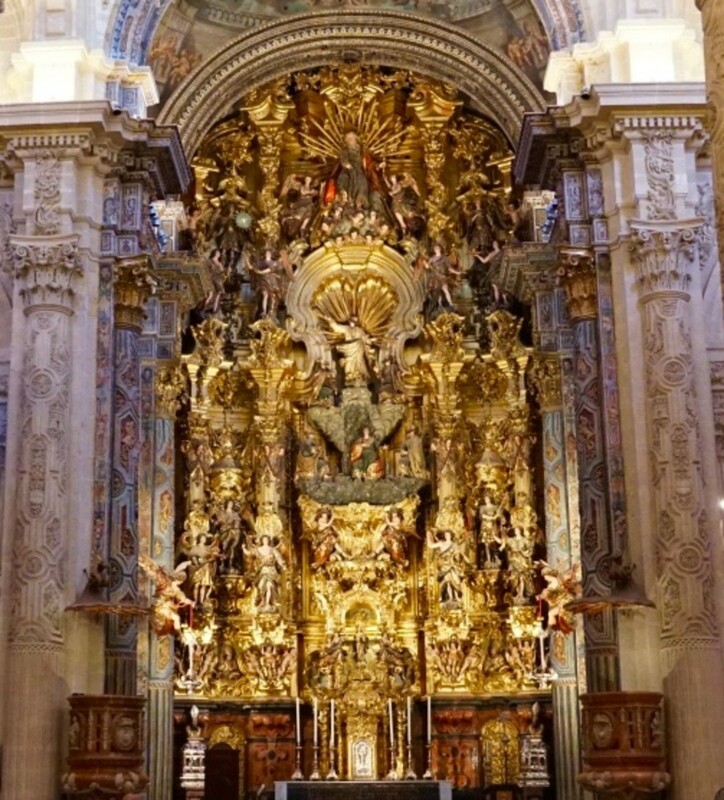 Its simple exterior yields to an elaborate interior with 14 altarpieces, the most exquisite being the Main Altar, pictured below. After touring the church, the Plaza del Salvador is a lively spot for lunch with a number of tapas bars and cafes surrounding the plaza. 9 euro for combo ticket that skips the line at the Seville Cathedral. ​Free for residents of Seville and children under 14. I hope you enjoyed this tour of some of Seville’s incredible sites. This beautiful city really is a treasure trove of Spanish culture, history, architecture, and of course tapas. It is easy to get to and makes a great base from which to explore southern Spain. What is the easiest way to get to Seville from Madrid? Hi Dianna. Thank you. Seville certainly has a lot to offer. We loved it. Thanks for stopping by, have a great day. You have me with the tapas and flamingo dancing. Thank you for the wonderful tour of Seville. Hi Natalie. Seville is pretty special. We really enjoyed spending time in Seville and it is everything you imagine it to be and more. Would love to return someday. Thanks for stopping by, have a great day. Seville has always seemed somehow otherwordly to me, romantic and traditional, and having its own culture distinct from anywhere else. I would love to experience it sometime. Thanks for giving me a glimpse into whay its really like. You are right. We missed the White Villages. Thank you Flourish. I do feel blessed to be able to travel to these amazing places. Seville and the surrounding area is just incredible, so much history. We would love to return someday. This is an absolute must see and is on the list now! What excellent coverage and beautiful photos to inspire a visit. You are so fortunate to travel as much and as widely as you do! Thank you Heidi. I'm sure he will love Spain when he gets there. Seville, Cordoba, Granada, they were all wonderful. Amazing architecture and so much history. Have a great day. Hubby has been enamored with the idea of visiting Spain one day. I'm sure these sites will be on that agenda if he ever gets there. 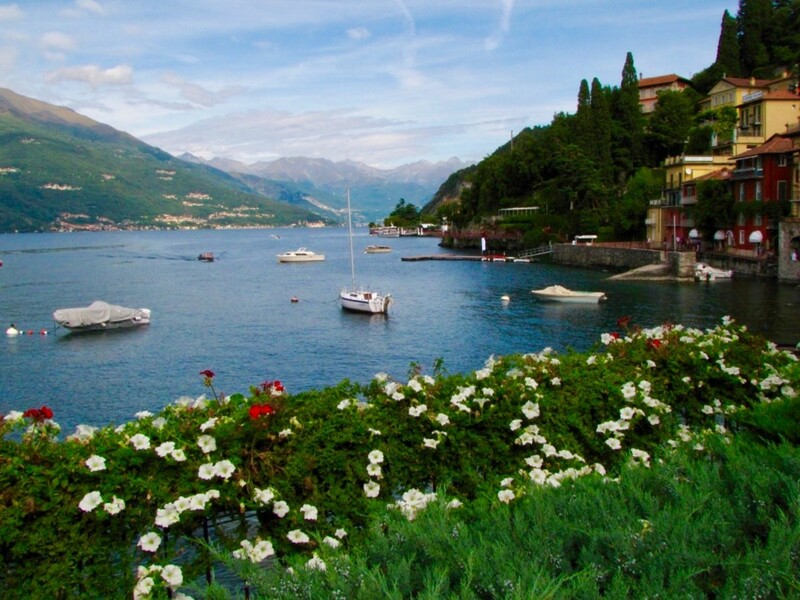 Thanks for sharing your lovely photos, as always! Hi Peggy. Thank you. Both Seville and Córdoba were amazing. The architecture, history, food, it was all wonderful. Thanks for stopping by, have a great day. Your photos are wonderful! I would definitely enjoy seeing more of Spain and after reading your article, Seville and Cordoba are definitely on my list. It is nice that Seville is so walkable. Hi Mary. We did do a day trip to Ronda and a few of the other White Villages, which we enjoyed. Cordoba was incredible. We did drive from Granada back to Madrid stopping in Toledo but no tickets :) I actually enjoyed driving in Spain, much less stress than driving in Italy. We loved Rhonda as well but my husband really enjoyed the drive that we got a ticket there. 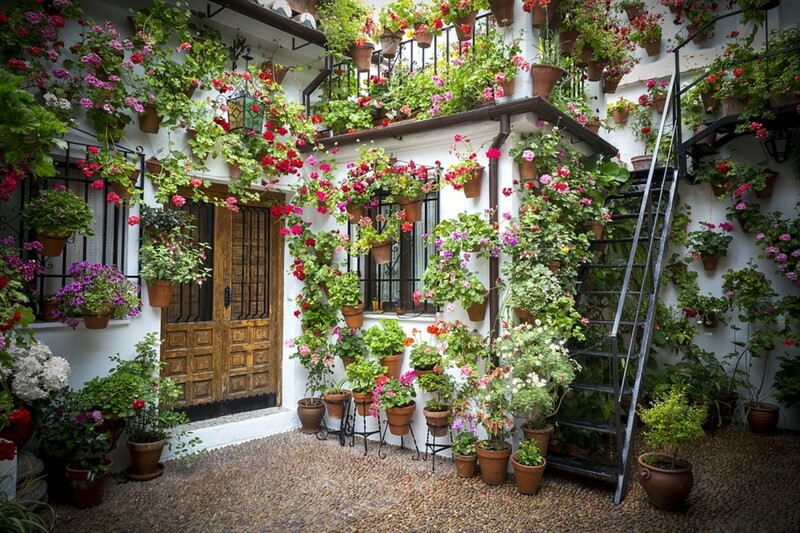 Cordoba is indeed a must visit. That's a city that engages. Hi Linda. Thank you. Seville certainly is a beautiful place. We really enjoyed the area and would definitely return someday. Have a great day. This is another very enjoyable article, Bill. Seville is a beautiful city. Thank you for sharing the interesting descriptions and the lovely photos. Hi Pam. Thank you. We loved the architecture also, and the ability to walk to all of the major sites. It’s a beautiful place, we would certainly return someday. Thanks Mike. We are ready to go back also. It really is a beautiful region. Have a great day. Seville looks like a wonderful place to visit. Being able to quickly get to one beautiful site after another is great. I am also a fan of the architecture. Thanks Bill. A Happy Veteran's Day to you also. The architecture in Seville was really something to behold, an amazing place. Great hub. Gets me motivated to go back to Spain. Hi Mary. Thank you. We really, really enjoyed Seville. 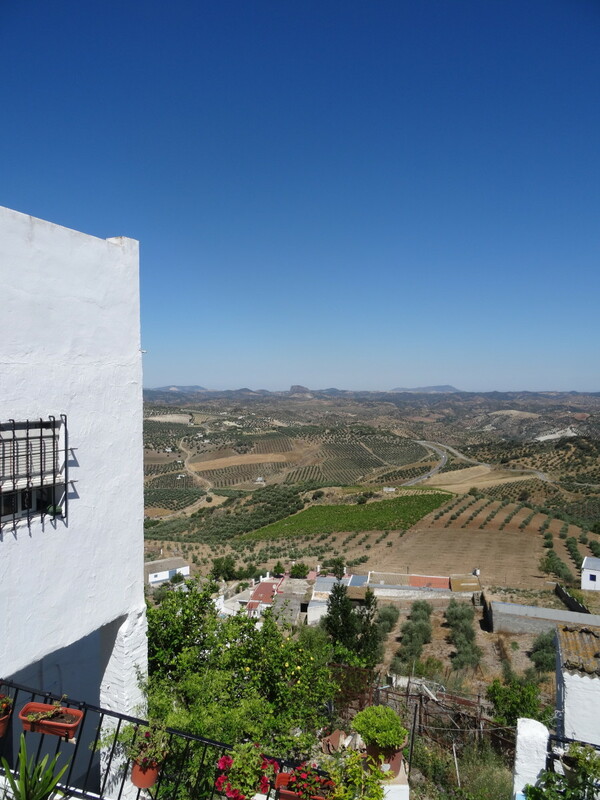 We did a few day trips, one to Cordoba, and another to the White Villages and Ronda. We did not make it to Juarez, perhaps next time. I always marvel at the architecture. Contrast that with the bright colors of the city...stunning! Happy Veteran's Day,Bill! Enjoy the holiday! Seville is one place we enjoyed in Spain. We stayed there during the Christmas season one year and enjoyed the day trips from there. Juarez is close by if you love a dry sherry. Thank you Zia. We were pleasantly surprised with Seville. It’s absolutely beautiful and there is so much to see. And yes, most of the sites were very reasonable. Thanks for stopping by. Always wanted to visit Spain and experience its remarkable culture (except the tomato thrashings which is a waste). I quite enjoyed your tour on Seville and the entrance fees to some of these historical places are quite reasonably priced. 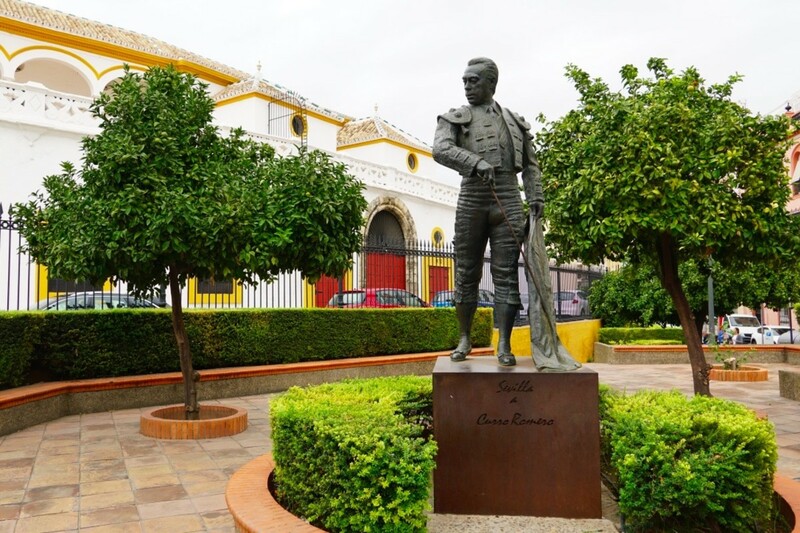 I would love to tour Plaza de Toros de la Maestranza because of their bullfighting culture. For 4 euros for a 20 minute tour, which is £3.50 in UK money, isn't bad. Thanks for sharing this nice Seville hub.